China’s Long March 5 heavy-lift launch vehicle is expected to return to flight after a July 2017 launch failure on the rocket’s second test flight that set back the country’s heavy-lift program and caused a serious knock-on effect to the Chang’e 5 lunar sample return mission and the deployment of the Chinese Space Station. The failure was attributed to the YF-77 full-cryogenic engine used on the Long March 5 core stage, specifically to a structural failure related to the engine’s turbomachinery. Corrective measures and design changes were implemented in the ensuing failure probe and YF-77 engine testing resumed in early 2018 on a path toward return to flight. 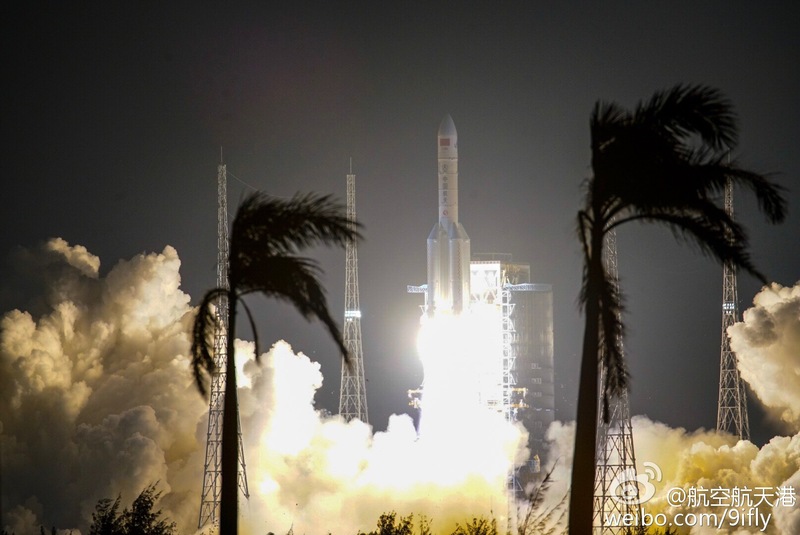 The CZ-5 (Y3) mission will carry the Shijian-20 satellite, becoming the heaviest non-classified Geostationary Satellite ever deployed and debuted a new satellite platform designed for ultra-high-performance communications satellites. It is a close re-build of the Shijian-18 satellite lost in the July 2017 failure.